Father's Day cupcakes with soccer illustration. 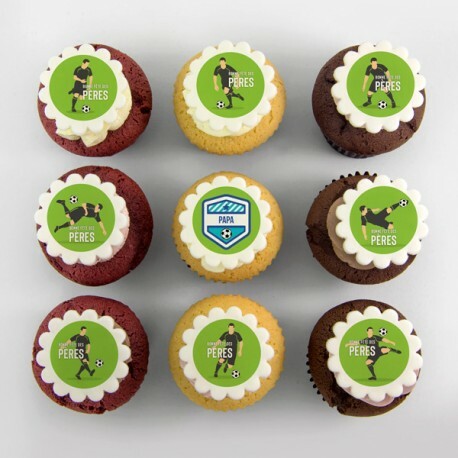 > Cupcakes>Annual themes>Father’s Day themed Cupcakes>Father's Day cupcakes with soccer illustration. These cupcakes with soccer illustrations on marshmallow fondant will bring fun and magic to your table. • No taxes on orders of 6 or more cupcakes. Cupcakes do not travel as well as cookies therefore we don’t ship outside of the Greater Montreal area. Delivery is available in the Greater Montreal area (Laval, South-Shore, North-Shore) with a delivery fee.